We are real estate agents and professional home buyers. We can list, sell or buy your house quickly! Join tons of highly satisfied homeowners and buyers who have worked with REALTRON to sell their home or buy their dream house all over the Austin area. We provide honest solutions for Austin Texas home sellers who need to sell their house fast. Since we are a full-service Real Estate Brokerage company, we can either list and sell your home or we can buy it ourselves! REALTRON is one of Austin‘s top real estate companies and investment groups because we focus on doing things right. We specialize in selling and buying homes in the Austin, TX area which includes Round Rock, Pflugerville, Hutto, Manor, Elgin, Bastrop, Kyle, Buda, Lago Vista, Liberty Hill, Cedar Park, Leander and other areas in Texas. REALTRON is a family-owned and locally-operated real estate agency and home buying company with over 30 years of Austin real estate experience. 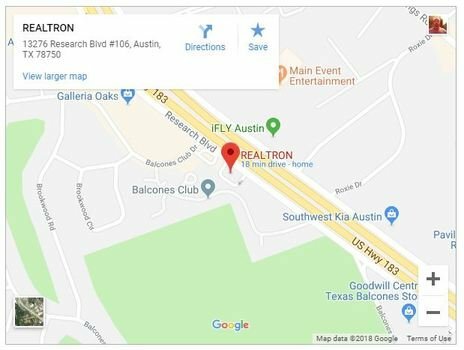 If you have been saying that you “need to sell my house fast Austin” you’re looking at the solution with REALTRON. Whether you are looking to sell your current house, buy your dream home, or purchase cash flow properties anywhere in the Austin, TX area, REALTRON can help make your real estate goals come true. We are a full-service Austin Real Estate Broker. Choosing Realtron as your real estate brokerage is different in two main ways from other real estate agencies. The first is, we are real estate agents and professional investors. We know the Austin TX real estate market. We often sell homes we list around the Austin area on our first open house or even before! You can take advantage of the pool of buyers we have created to sell your house fast. These buyers are anxiously looking for their perfect home, investment or rental property. Secondly, you can take advantage of selling your home to us and closing faster than a traditional real estate transaction. Because we are also Realtors that buy homes in Austin, we can be creative in helping you sell including buying your house for cash, closing in as little as 14-30 days or being as flexible as you need us to be. We have experience with foreclosures, short sales, probate, bad foundations, fire damage, mold, divorce, and other circumstances that make it hard to sell in a traditional real estate market. house themselves or list with a less experienced Austin real estate agent or broker only to end up working with us months later after the house didn’t sell. Our winning marketing plan and experience on your side helps reduce the average days on market. This saves you time, money, and gets you on with your life faster so you can enjoy the things that Austin, Texas has to offer. We buy houses Austin Texas for cash and have the ability to close quickly… on your timeline and schedule. At REALTRON, we are a serious cash buyer that pays you a fair purchase price, requires no appraisals, no traditional lender-required repairs, and we charge NO FEES. 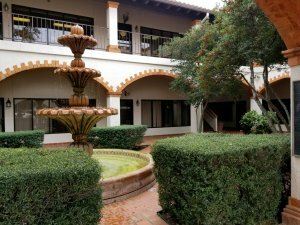 We are looking to buy all types of property in any condition in the Austin, Round Rock, Pflugerville, Hutto, Manor, Leander, Cedar Park, Elgin, Liberty Hill, Kyle, Buda and other Texas areas. If you want to sell your Austin house… we’re ready to give you a fair all-cash offer. Basically, if you have a property and your saying that need to sell it… we’d like to make you a fair cash offer and close on it when you’re ready to sell. If you are looking to sell a Texas home quickly, we would like the opportunity to make a fair offer on your house. We can have an offer in your hands within 24 hours. Give us a try by clicking the link below. 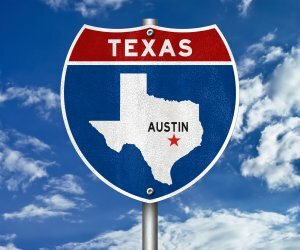 Do You Need To Sell Your House in Austin, Texas? Maybe other real estate agents can’t sell your house, but we can or we will buy it ourselves! REALTRON isn’t just a real estate brokerage company, we are professional and experienced Austin home buyers. We live and work in the Austin area. We know the real estate market in Austin, Round Rock, Pflugerville, Hutto, Leander, Cedar Park, Manor and other surrounding areas. We are Realtors that buy homes all over the Austin Texas area. We offer a variety of selling solutions from listing your house to buying it ourselves. It’s your choice! and unlike selling through a typical agent, you have the option of us either listing your property or we could buy your home right now!. REALTRON helps property owners just like you all over the Austin Texas area. We work with homeowners in all kinds of situations such as relocation, downsizing, pending foreclosure, divorce, probate, inherited home you need to sell, maybe a rental property you’re tired of dealing with, and all kinds of other situations. As Realtors that buy homes in Austin, we understand the market and how fast it can change. We buy houses in Texas… including Austin and surrounding areas and pay a fair cash price, fast. Sometimes, those who own property simply have lives that are too busy to take the time to do all of the things that typically need to be done to prepare a house to sell on the market… if that describes you, just let us know about the property you’d like to be rid of and sell your house fast for cash. Austin Home Values Have Recently Changed: What’s Your Home Worth Today? Property values are changing in Austin and all around Central TX. Fill out the short form below to get a FREE 100% Accurate Home Value Report for your Austin area house with up to date nearby “sold” data and our recommendation on the trend of home values in your neighborhood by one of our top real estate agents.